A Polestar Mentor is someone who provides necessary feedback and guidance for Polestar students as they progress through the curriculum toward certification. In order to become a Mentor, Polestar certified practitioners can apply to participate in the Mentor program outline below. Mentors receive a range of valuable benefits while giving their experience and expertise to dedicated Pilates students. If you are interested in becoming a mentor, click here to contact us via email. Below is a list of all the Mentors with various studios throughout New Zealand. Maree is the Director and founder of the Pilates Body Studio, a Pilates conditioning and rehabilitation centre in the heart of Auckland city, New Zealand. This was the first Pilates studio to open its doors in New Zealand in 1995. Maree and husband Andrew are the New Zealand Licensees for Polestar Pilates. She is also an Educator and Mentor for Polestar Pilates. Polestar Pilates NZ was established in New Zealand in 2002. Jo began her Pilates journey back in 1996 as a client of Maree Seerden’s and instantly became a devotee of the method, describing herself as a “Pilates addict”. Having hypermobile joints and having had to give up dancing due to prolonged injuries in her teenage years, Jo found that Pilates helped her develop the joint stability to be able to move freely again. She changed vocation to Pilates Instructor in 1999 working under apprenticeship under Maree Seerden. In 2001 she trained with Polestar Pilates in the first course run in New Zealand. Since graduating in 2002, Jo has trained as a Mentor then Educator and ever since has been an integral part of the Polestar Education team as an Educator, Mentor and Examiner. Outside of Pilates Jo has continued to develop her movement training through Yang Tsin Su Martial Arts, TRX Suspension Training and Runity running conditioning. Passionate about Pilates, Polestar Education and language, Jo relishes working with training instructors and mentoring them as they embark on their own Polestar Pilates journey. Emily currently works as a Pilates instructor, Contemporary Dance artist and Dance teacher. She fell in love with Pilates at the age of 17 where it was introduced to her during full time dance training at The New Zealand school of Dance. Since then Pilates has been a constant in her life, a regular practice, as it not only enhanced her dance career but her overall wellbeing. In 2007 Emily discovered her passion for the teaching of Pilates via her initial instructor training with Suna Pilates where she qualified with certificates for Mat and Reformer teaching. Aside from fulltime employment of four years with Wellington based Footnote Dance Company, Emily has had a freelance dance career since 2006. She has had the pleasure of working with various overseas artists and Choreographers and she has been employed by many of the most high profile Choreographers and Companies in the New Zealand dance industry. This work has led her to perform and tour around the country and the world (Europe, UK, USA, Korea, Australia). She has managed a successful parallel career in both Pilates and Dance and in 2014 she was eager to extend her Pilates training, so began this with the Polestar Pilates method…and has never looked back! Emily has since graduated from both the Polestar Mat and Studio courses, is a Polestar Mentor and is currently training towards an Educator role. Emily has worked at IQ Pilates, Configure express Women’s Gym, Auckland Physiotherapy, Bodyneed sports clinic, and is presently managing the Pilates Body Studio and is working with ‘Muscle Mouth Dance Company’. Emily considers it to be a privilege to share her passion for Pilates with others, and is deeply invested in guiding each individual towards their goals. Cath has a background in accounting and finance and worked as a chartered accountant on leaving university. She fell in love with Pilates in 2002 when she was introduced to it by her sister. Cath has been an avid practitioner ever since as it has done so much for her body and mind. Practising Pilates has relieved her lower back pain and helped Cath rehabilitate from knee surgery as well as improving her general fitness and well being. Consequently she has gone on to study with Polestar Pilates is now a certified Pilates teacher in both Studio and Mat. Cath also loves Spanish and has completed a Post Graduate Diploma in Translation Studies. She splits her time between teaching Pilates and working as a freelance Spanish translator. Cath is a big fan of Pilates matwork and, having undertaken mentor training, is now an Educator for the Polestar Pilates Mat course. A former ballet dancer, Caroline has experienced the benefits of Pilates first hand. She was first introduced to classes in 2006 in her first year of ballet school in Wellington. Pilates helped her to keep her body centred, strong and flexible, and consequently developed into an integral part of her daily life. Following her dancing career, Caroline travelled through Europe and South America, living in London for a year before ending up back in NZ, living in sunny Hawke’s Bay and working in the wine industry. It was here that she set out to understand more about the body and began studying with Polestar Pilates. 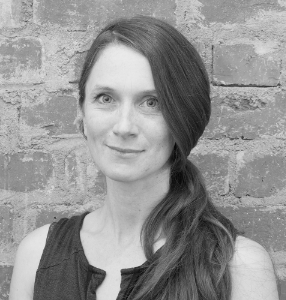 Caroline relocated to Auckland, joining Maree and the Pilates Body Studio team in early 2015 and completed her Studio certification that year. Hungry for all things movement, Caroline continued to enrich her journey and is now a cross-disciplinary instructor teaching Studio Pilates, TRX Suspension training, Barre and mindful movement sessions for mobility. Caroline currently runs a small Pilates business in Parnell and is focused on facilitating self awareness in others through movement. No matter their motive she absolutely loves helping people achieve their goals and is therefore very excited to be part of the mentoring team for Polestar Pilates. Shanelle started practising Pilates as a client while still completing her dance studies in 2004. After graduating she danced full time professionally alongside practising and exploring the Pilates method and pursuing her interest in studying anatomy and biomechanics. Shanelle completed her Pilates training with Stability Plus Pilates in 2008 in Basic, Intermediate and Advanced Mat, Reformer, TrapTable, Wunda Chair and Ladder Barrel. After completing her Pilates training she worked at Peak Pilates as an instructor and manager. She instructed group mat, reformer classes and private clients as well as private groups, pregnancy classes and special advanced classes for staff and clients alike. Trudi has a huge love for sports, health, wellness & all movement modalities. She represented her high school, city & region in Hockey, Volleyball & Beach Volleyball while also enjoying Touch Rugby, Water skiing & Snow boarding & has also achieved personal triumphs such as completing 3 half marathons. Trudi travelled the world intensively & landed in Melbourne, Australia for four years where she began her full time Pilates career in 2010 & completed the Diploma in Professional Pilates with Polestar Pilates Australia ~ this included Mat, Reformer & Studio certifications. She had the pleasure of doing an apprenticeship with the lovely Ingrid Lamb (Polestar Pilates Australia Senior Educator), while also working in two other top studios in Melbourne before returning to New Zealand. During her 4 year stay in Auckland she joined the team at Pilates Body Studio & another busy Auckland studio while also assisting Maree Seerden with Polestar Pilates New Zealand administration. She has put a lot of time & energy into mentoring colleagues & clients going through the Polestar training programmes & is excited to guide many more teachers through while being a Polestar Mentor. Finally back in her home town in the Bay of Plenty she is more passionate than ever to keep learning & sharing her knowledge helping as many people as possible to move, breathe & live with as much quality as possible. Trudi currently runs her own Pilates business in Tauranga & Mount Maunganui , while also running the Pilates programmes for two top health clubs & teaches at a major physio health business. Trudi’s latest passion project was launching SUP Pilates (on a Stand up Paddle Board) which she says creates a challenging yet meditative environment & experience. Trudi is also embarking on a Yoga teacher training journey to complement her internationally recognised Polestar Pilates certifications & Pilates experience. Trudi enjoys the variety of working privately with clients, teaching small specialised groups, working with sports teams or athletes & also sharing her fun personality in her mat, reformer & studio classes with everyone willing to be challenged, strengthened & lengthened. Sonia is a NZ-trained physiotherapist specialising in sports medicine, acupuncture and rehabilitation. She started Pilates in London initially with APPI Mat course and then Polestar Rehab series in 2007. She then moved back to NZ and re-did the Polestar course and became certified in April 2010. Now based in Tauranga, she is running a studio with reformer and mat classes as well we continuing with one-on-one rehabilitation utilising Pilates for many injuries in both athletes and non-athletes and everyone in between. Melanie graduated from AUT in 2000 with Bachelor of Health Science (physiotherapy). She made the most of this international qualification by working and travelling overseas which is where she developed a passion for Pilates. After returning to NZ she completed the Polestar Rehabilitative series in 2007. Mel worked at several pilates studios in Auckland combining her pilates and physiotherapy skills. On moving to Rotorua she set a pilates studio as part of the physiotherapy clinic she co-owns. This has expanded significantly and provides one on one, group and mat sessions and employees a growing number of pilates instructors and physiotherapists. As a PINC physiotherapist for the Rotorua region, Melanie enjoys helping rehabilitate women going through cancer treatments. She also has a strong biomechanical background with particular focus on her 2 favourite outdoor activities – running and mountain biking. Melanie has been a Polestar Mentor since 2010 and an educator for the comprehensive training course since 2012. She continues to enjoy the enthusiasm each new group of students has for learning and being part of Polestar Pilates. Flis began her journey in health and movement in the UK. Disillusioned after 10 years working in investment banking, she qualified in massage and reflexology and began to practice. Flis discovered Pilates in Hong Kong in 2005 after the birth of her first child and qualified first in Mat, Reformer and then full comprehensive Studio series. Working primarily as a Pilates instructor ever since, she has recently expanded her knowledge into myofascial release therapy and uses this knowledge successfully to help improve movement restriction due to fascia build up or adhesion which often occurs after injury, illness or operations. Flis enjoys working with physiotherapists and chiropractors sharing a common goal of improving clients’ movement patterns and consequently, their quality of life. It is a most positive and rewarding place to be working. Esther started her Pilates journey in Sydney, Australia, back in 2002. In 2007 she moved to Auckland and shortly afterwards began her Pilates instructor training with Polestar, completing Mat that year and then Studio in 2008. Esther is very grateful for the exposure to wonderful educators, both local and international while studying with Polestar and then while working with Maree at the Pilates Body studio for 5 years. She finds helping students to achieve their best and seeing their growth both in movement and confidence to be very rewarding. Janna was born in the west coast town of Raglan where from a young age her time was shared between dance, horse riding and music. During high school she developed a keen interest in nutrition and physical health. She began her studies in physiotherapy after relocating to Auckland and graduated with a BHSci (Physiotherapy) in 2003. During her final year of training she began a Pilates apprentice at DancePilates/Westmere Pilates where she worked for 5 years as a Physiotherapist and Pilates teacher upon graduating. In 2007 she completed the Polestar Pilates Rehabilitation training programme. In 2010 she moved to Wellington with her 3 month old daughter and partner and established Pilates Flow and then The Movement Clinic in 2016. Janna is a PINC and STEEL certified Cancer Rehabilitation physiotherapist and is currently undertaking the Runity training to become a Painless Running Coach. Her aim as a therapist is to educate the client about their bodies and give them the tools to take control of their own recovery. Janna is committed to advancing her education in both Pilates and Physiotherapy and continues to explore other movement therapies, completing her GYROTONIC® apprentice training in 2008. Her areas of special interest include chronic pain, dance physiotherapy, and natural movement. Sarah is a Physiotherapist, Myofascial release (John Barnes method), CoreAlign, Oov Instructor and recent Polestar Rehabilitation Graduate. Sarah recently returned home to Wellington after working, learning, and raising a family in the US for 8 years. 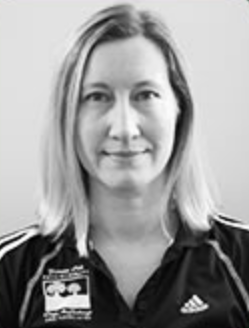 She has integrated her Physiotherapy background with the wisdom of John Barnes’ Myofascial release methods, Upledger Craniosacral Therapy, Acupuncture, and Reiki, with a license to teach Polestar Pilates, CoreAlign and the Oov providing a comprehensive approach to help balance the Mind, Body and Energy. Whilst living in Los Angeles Sarah became a mentor for the Polestar Comprehensive Teacher Training Program based in El Segundo and stayed up to date with the latest innovations in movement therapy whilst working with clients at her Rehabilitation Studio in Valley Village, CA. Nina currently works as a Physiotherapist, Pilates Teacher and Acupuncturist at Arc Physiotherapy and Pilates Flow in Wellington. She graduated from Physiotherapy in 2008 and has worked predominantly in private practice in Wellington and London. Nina was first introduced to Pilates while dancing and rowing at university. She began to really love and feel passionate about the approach and diversity of Pilates after discovering Polestar Pilates at Moss Studios in London in 2015. 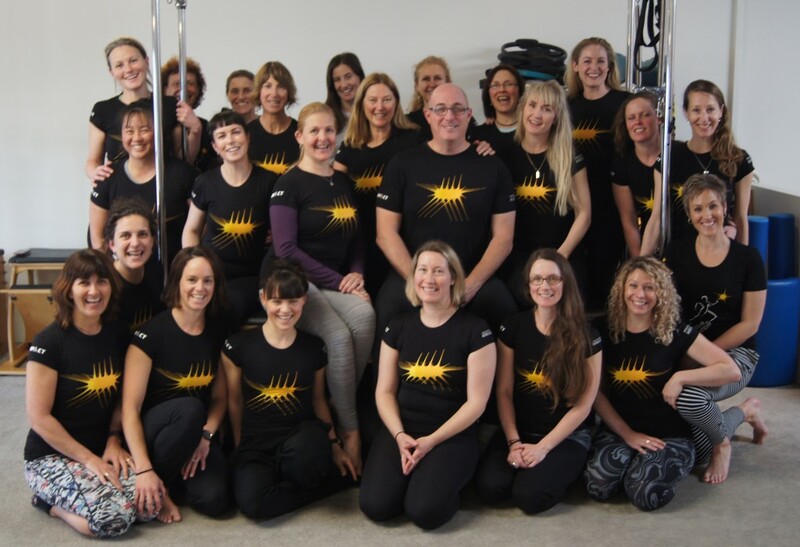 After feeling the amazing benefits in her everyday health and wellbeing Nina went on to complete the Polestar Pilates comprehensive course in London. She loves the additional benefit it gives her clients in its’ approach to rehabilitation and how it excels in functional end stage training in return to sport, as well as improving biomechanics for more efficient movement. Nina has a strong biomechanical background and loves to look at all contributing factors to help movement patterns and find freedom of movement. She loves to motivate clients to take control of their recovery and see clients reaching their goals through a safe and progressive program. Abbey’s love for movement has been a common theme in her life since a young age. Studying ballet and modern dance as a youngster lead to a placement at the New Zealand School of Dance. Due to a foot injury Abbey spent hour upon hour in the Pilates studio before deciding to give fulltime dancing away and become a nurse. After studying her Bachelor of Health Science in Nursing, she took up a new graduate placement in Melbourne and returned to Pilates training for fitness. She completed a short Body Control based teacher training program and taught at central Melbourne studio for 6 months. Some time travelling after that, gave new perspective and confirmed Abbey’s earlier dreams if becoming a Pilates Teacher. In 2007 while teaching full-time at a Christchurch Studio she completed the Polestar Studio Course and qualified in March 2008. Abbey opened Movementor Pilates in Christchurch in 2008 and has been Mentoring and Educating for Polestar NZ since 2009 and has travelled to Brazil and Australia for International Polestar Conferences. Abbey most enjoys breaking movement puzzles down and putting them back together as well as finding new ways to bring awareness to people’s movement for them to move more and move better. Paty has been working in the Health and Fitness Industry for over 11 years now and since 2006 specializing as Pilates Instructor. With a dance background, Paty’s passion for movement started early in life. Noticing how movement and body awareness are crucial to one’s health, she decided to study to become Personal Trainer. She attended her first Pilates course in Brazil through PhysicalMind Institute (2005); became certified through Polestar Pilates in Jan 2009. Paty runs VitalWellness Ltd, a Pilates and Personal Training Company, with her husband since 2012. Mum of 2 beautiful kids, she loves to juggle family life, dance and her professional career, making sure there is always time to keep the journey of learning and sharing the joy of Pilates with her clients.